“Austin based psych collective Sungod returns to Holodeck with the transcendent new full length Wave Refraction, out August 24, 2018. 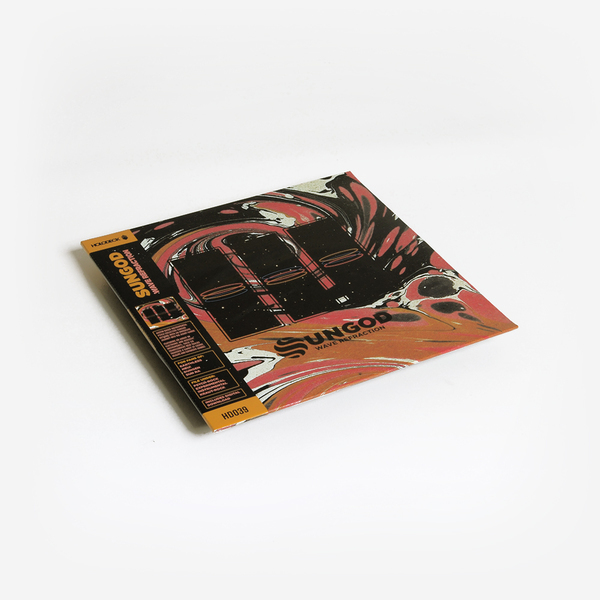 Reflecting a wide range of influences, this eclectic array of songs coalesce in harmony as Sungod continues to construct innovative ways to compose their unique brand of instrumental music. 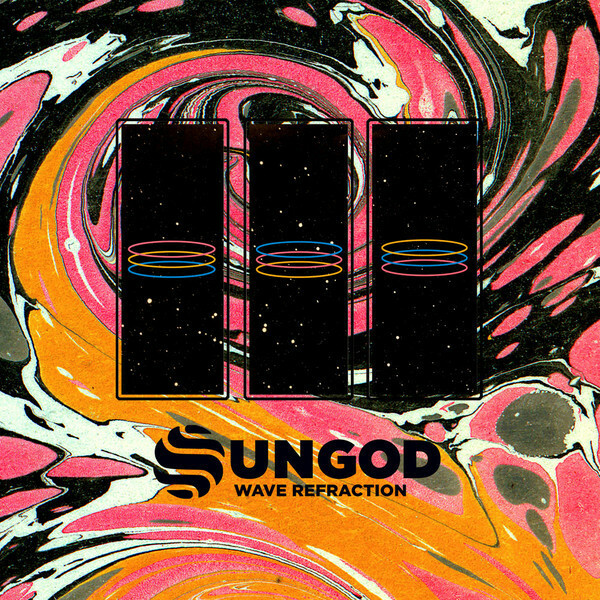 Wave Refraction raises the bar as Sungod once again demonstrates their outstanding musicianship and cosmic vision. Formed in 2009, Sungod is the brainchild of multi-instrumentalists Michael C. Sharp and Braden Balentine, whose friendship formed around a mutual love for such musical pioneers as Sun Ra, Tangerine Dream, John Fahey and others. Guitar, bass, drums and synthesizers established the band’s foundational elements, but as their songwriting burgeoned, they began integrating flute, acoustic guitar, drum machine, piano and even field recordings to round out their multifaceted sound. This large assemblage of instrumentation allowed for deeper arrangements and a wider scope of motif variation. 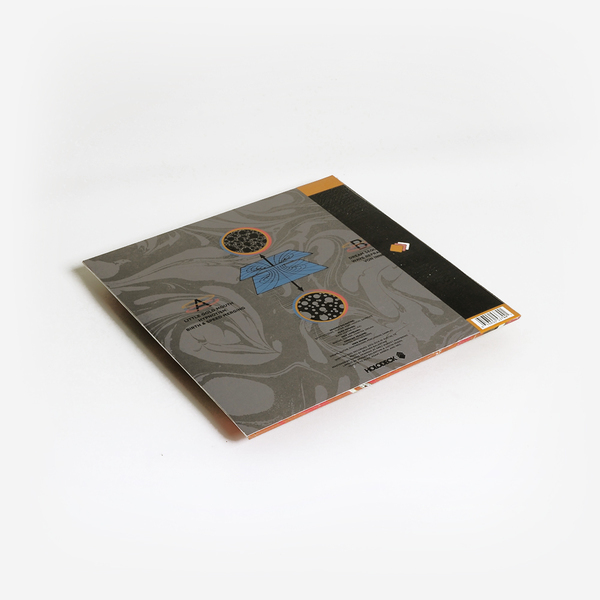 Over time, Sharp and Balentine recruited musicians from Austin’s broad pool of talent to contribute to the many layers of Sungod’s dense and ever expanding landscape. Sungod’s method of experimentation is reminiscent of the early stages of Kraftwerk and Pink Floyd, reinterpreting the established to create something wholly original. Wave Refraction covers a wide spectrum of sonic territory, shifting moods and genres with each track. Opening song “Little Gold Mouth” is loud and heavy, highlighting thrashing guitars and drums while nodding to the bands’ penchant for gritty, overdriven effects. The beautifully ambient “Dream Sequence” takes a softer approach with ghostly fluttering melodies that hover over soft, reverb drenched soundscapes. These extremes work in tandem to carry the listener through an emotional and deep-rooted narrative that organically unfolds across the album’s six tracks. Psychedelic slow burner “Hypnotism” is an instant classic, preserving Sungod’s Krautrock inspired energy with an infectious, synth based groove. The album closes with the beat driven dance track “Von Innen” adding yet another level of complexity to this diverse selection of songs.